1957년 부산에서 태어나 한국외국어대와 서울대 영문과 대학원을 졸6업하고 동대학원에서 허먼 멜빌 연구로 박사학위를 받았다. 미국문학 연구에 주력하다가 계간 『창작과비평』 편집진에 합류하면서 한국문학 평론을 발표하기 시작했다. 주요 논문으로 「세계문학의 쌍방향성과 미국 소수자문학의 활력」 「문학의 새로움과 소설의 정치성」, 역서로 『브루스 커밍스의 한국현대사』(공역) 『우리 집에 불났어』 『필경사 바틀비』 등이 있다. 현재 『창작과비평』 편집위원이며 인제대 영문과 교수로 재직중이다. Born in 1957, Han Ki-wook studied English literature at the Hankuk University of Foreign Studies (BA) and Seoul National University (MA). He received a Ph D with his dissertation on Herman Melville from Seoul National University. 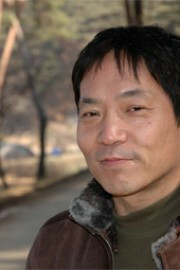 Currently a professor at Inje University, he has authored: “The Scarlet Letter and the Characteristics of American Literature” and “Abstract Man and Nature”; translated into Korean Ariel Dorfman’s My House Is on Fire and Jack London’s Martin Eden; and co-translated into Korean Mike Davis’ Prisoners of the American Dream: Politics and Economy in the History of the Us Working Class.